rescue mission – Summit Helicopters Pvt. Ltd.
Fishtail Air and Maurizio Folini carry out the highest Helicopter Rescue! Yet again, Fishtail Air and Maurizio Folini have succeeded in carrying out the highest ever helicopter rescue on Everest. The rescue was carried out in an incredible altitude of 7,800 m. Despite the difficulty to fly in thin air at such high altitudes, renowned Italian Pilot Maurizio Folini piloted the AS 350 B3 to rescue an injured Nepali-Canadian climber at 1:30 pm on the 21st of May. The casualty who faced difficulties in the afternoon of 20th May was lowered several hundred meters the following day by a Sherpa team from where the rescue took place. 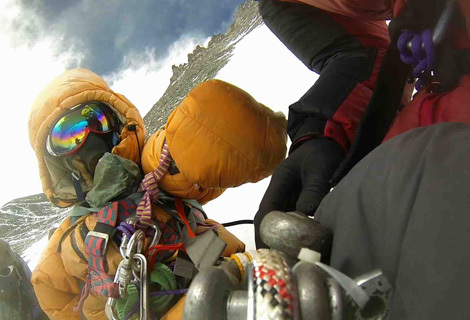 The previous record too was performed at an altitude of 6,900 m by a team of Fishtail Air & Air Zermatt on 29th April, 2010 using ‘Human Sling Operation’ on Mt. Annapurna. Aerial Work at Everest Region! Ueli Steck’s remains airlifted by Fishtail Air! Farewell to our Caption Reto Ruesch and whole Heli-Linth Family! © 2019 Summit Helicopters Pvt. Ltd.